Home Want a TC Electronic Ditto Looper? This is the time. Want a TC Electronic Ditto Looper? This is the time. Loopers are super fun, and incredibly useful. Originally, I got in the looper game to do some solo ambient stuff, but since I got into the band scene again, the looper is incredibly useful for working out lead or melody line parts, etc – and for general practice. In my “rock room” I probably use a looper at least twice a week. The TC Electronic Ditto Looper is one that I’ve wanted for a while. You absolutely can’t beat the footprint of this looper. If you’re wanting a looper but don’t want to eat up too much space on the board, it’s hard to go wrong this looper! As the post title suggests, if you’re wanting a TC Electronic Ditto Looper – this might be the time. Over at Twitter, @blabberWan let me know about a great deal that is happening at Amazon right now. Typically, the TC Electronic Ditto Looper is available for $99 (which is a great deal regardless), but currently, it’s on sale for $69.77 and includes FREE shipping. That’s $29.23 off of the regular price. Not bad.. not bat at all! Let me know what you think about this deal by commenting below! 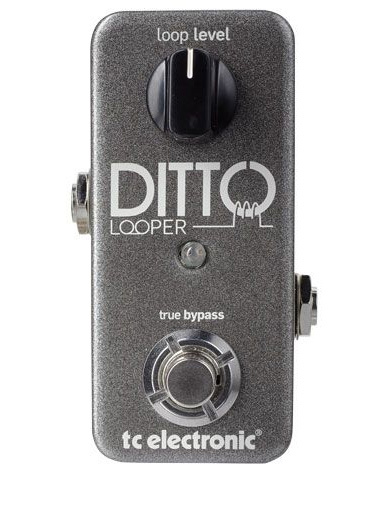 Also, if you own a Ditto Looper, let me know what you think about this compact looper! Steve Turner of Mudhoney - Pedals!Flex Reaction - Compound 44 Give Away - Reminder!